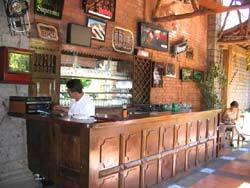 Santa Ana is located in the western department of Santa Ana; it is the second most important city of El Salvador. Santa Ana lies in a valley at 650 m ASL. Sihuatehuacán used to be the name of the city, which in Nahuatl means "Place of witch crafters, or sacerdotisas" On July 26th 1569 the Guatemalan priest Bernandino de Villalpando built a church in honor of Our Lady of Santa Ana, and later changed the name "Sihuatehuacan" to "Santa Ana the Greatest". 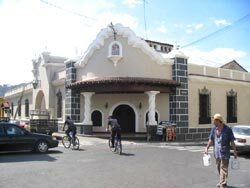 The city first belonged to the department of San Salvador and later to Sonsonate. During the government of the Coronel José María San Martín, the department of Santa Ana was created and Santa Ana became its capital. The National Western University was inaugurated in 1874, during the administration of Santiago González. Santa Ana is also known as "The Heroic City" since 1894, when defeated during the battle of the "44s" against the brothers Antonio & Carlos Ezeta from Guatemala. Santa Ana holds one of the best preserved historic centers in the country. Its main buildings are: The Cathedral, The National Theater, and The Municipal Palace. 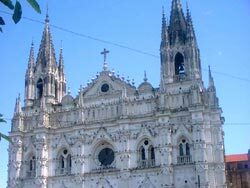 The Facade of the cathedral was damaged by a lightning (It served as a colonial church in honor of San Pedro Apóstol de Metapán or Panchimalco), and when began its reconstruction (1905) changed its architectural style to Neo Gothic. The church was then declared a Cathedral by Pope's decision. The virgin of Santa Ana is considered to be the patron saint of difficult labor; women who are about to go through labor pray to her so that she helps them go through the situation at ease. 40 days later the parents must bring the born child to the virgin as a thankful gesture. 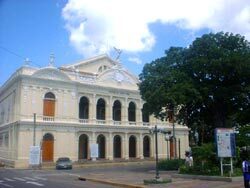 The National Theater is located north to the main square "Libertad". 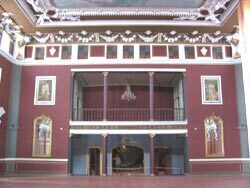 Its construction began in 1902, due to the lack of entertainment places and also because of the rivalry with the city of San Salvador, Santa Ana wanted to prove it had a nicer theater. The funding came from taxes that coffee growers implemented themselves. The theater was built in two stages and in a neoclassic French style. It was finally inaugurated on February 27th 1912, with the presentation of the play "Rigoletto", by an Italian Opera House. The Santa Ana Theater currently holds more activities every month. Santa Ana has also been hometown to many important figures such as: former presidents Francisco Flores, Pedro José Escalón, General Tomás Regalado (who died in a battle against the Guatemalan army), David Escobar Galindo (writer), David Granadino (composer). One of the most important soccer teams in El Salvador (FAS) is also from Santa Ana. The first official soccer tournament also took place here, in a field known as "campo Marte". Its patron saint festivities (also known as "July Feast") are celebrated during the third week of July in honor of Our Lady of Santa Ana.